To ask L.M. Mountford questions, please sign up. We’d love your help. Let us know what’s wrong with this preview of King Solomon's Curse by Andy McDermott. A lot promised here but all in all rather tame. From the blurb and title, I was expecting a thrilling story about temptation and confliction, about an older man and younger tease lusting after each other but one of them resists and resists until every A lot promised here but all in all rather tame. What I got instead was a rather tame contemporary romance, there was no real confliction, the sexual chemistry never really got beyond a slow burn, but there were plenty of funny moments with mispronounced Italian and sexual propositions in the place of bread orders. I enjoyed this book, but the ending just left me underwhelmed. There was no villain to best and the ending leaves them all waiting in the snow. Even Stone's grief is left rather uninterrupted. I got the premises, Briti Not the best, but not the worst. We’d love your help. Let us know what’s wrong with this preview of The Dark of the Sun by Wilbur Smith. "Faye has loved Terry for forever. He's utterly clueless. She's just about done waiting on him to finally notice her. Whatever it takes, she just wants one night with him (or so she thinks). Who cares about his girlfriend? We’d love your help. Let us know what’s wrong with this preview of Just Once by L.M. 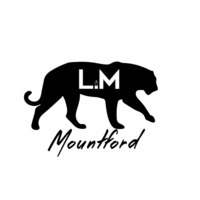 Mountford.